100% certified organic, completely grass fed beef locally raised in the Payette River Valley. Our 160-acre family farm near Emmett, Idaho is home to 100 cows, steers, and young stock; we hand-raise our cattle from newborn to full grown, ensuring that you’re receiving beef that is 100% organic, completely grass fed, and nutritionally exceptional. Our farm and cattle are certified organic, which means your family receives top-quality beef that is free of antibiotics, stimulants, and artificial hormones. Our cattle enjoy grass hay, free choice minerals, kelp, and raw apple cider vinegar; the difference is a flavorful, highly nutritious organic beef. We believe in farming for the good of people, our cattle, the earth, and our communities. Free to graze and enjoy our open and diverse organic pastures, our cattle are fed only grass and hay. They are raised and finished in our pastures, never set foot in a feedlot, and are never fed corn, wheat, or other grains. 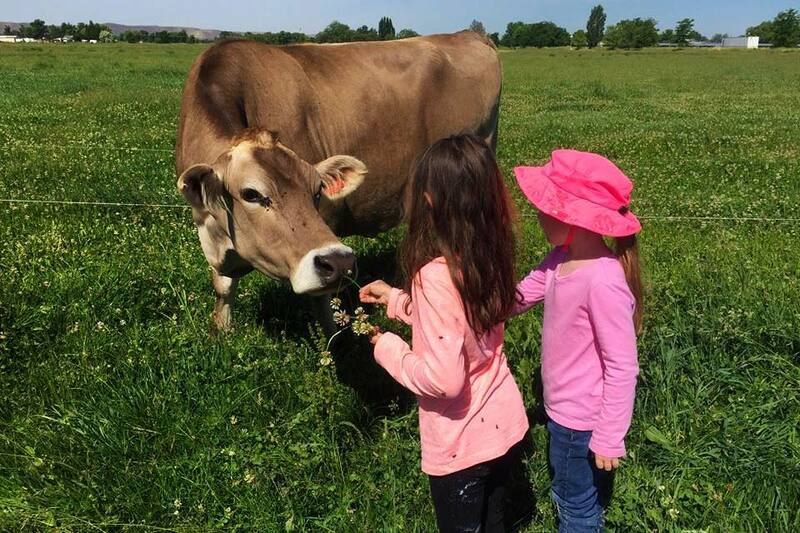 Our commitment to care wholly for all creation means we tend to both our farm and cows with sustainable practices that nourish and strengthen our community and land. Using local agriculture to care for local people. Our family has a passion that is deeply rooted in caring for all creation. We love providing our community with ethically sourced and nutritious food, and take pride in caring for the people in it through healing nutrition and sustainable practices. We believe in using local food to care for local people and sustain local livelihoods.